Come Ride in the Cinco de Mayo Parade! Arrive for line-up between 9 a.m. and 10:30 a.m.
Below are the guidelines for awards to be judged. If you’d like, you may decorate your bicycle or yourself while adhering to the following guidelines. 1) Must adhere to the Cinco de Mayo theme – 150th Anniversary of the Battle of Puebla, 2) Excellent craft & design, 3) Aesthetic excellence, 4) Creativity/Originality, 5) Presentation & Spectator Response. Judged by a panel of volunteer judges – Judge Tim Gonzalez & Mrs. Zaida Gonzalez, co-chairs. 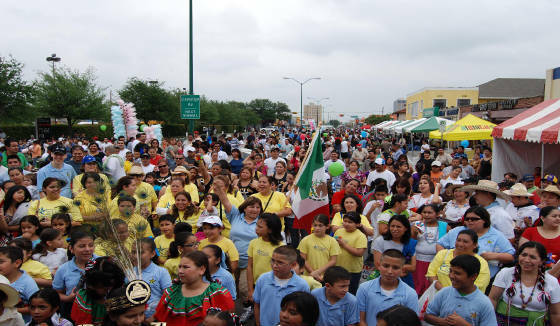 ← And Now Dallas Has Had a Ciclovia…Will the City Take It On?